Pride in the Past - Building on the Future. 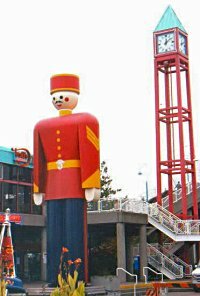 Founded in 1859, and named by Queen Victoria, "the Royal City", New Westminster was British Columbia's first capital city (1860 to 1868). Nestled on the banks of the Fraser River, the city retains its old time charm, and quaint homey atmosphere, with numerous homes from the 1890's on tree lined heritage streets. Situated on a hillside overlooking the Fraser River, New Westminster views the Golden Ears Mountains to the East, Mount Baker to the southeast and the Fraser River Estuary to the southwest. 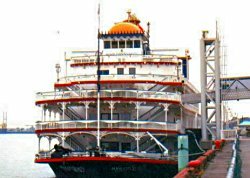 Stroll along the Fraser River and behold the working and pleasure vessels or take a ride on the last steam paddlewheeler to operate on the Fraser River, then stop to browse through the Westminster Quay Public market or spend some time in the Royal Star riverboat casino. Take a walk through the historic neighbourhoods or enjoy a few hours at one of the museums, art galleries, or parks. Visitors to New Westminster can take a variety of day trips to take advantage of the closeness of many outdoor recreational experiences in the nearby mountains and rivers; from hiking, biking, swimming, fishing to skiing and sightseeing. For boaters, the Fraser River connects you with the whole West Coast, Indian Arm and the Queen Charlotte Islands. New Westminster is also connected to Burnaby and Vancouver through a bike system that runs under and beside the Skytrain guideway. 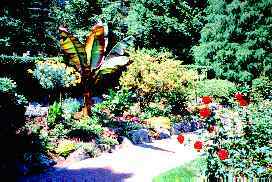 New Westminster offers tourist services including hotels, motels, as well as numerous cozy bed and breakfasts. There are also RV parks nearby in surrounding communities. Located in the centre of British Columbia's Lower Mainland, New Westminster is easily accessible by transit, several major highways, rail and water. It is only a short SkyTrain ride away from Vancouver (25 km/16 mi.). 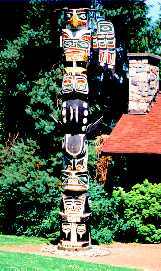 It is adjacent to the Trans Canada Highway (Highway 1) and the Alex Fraser Bridge. Situated within 32 km (20 mi.) 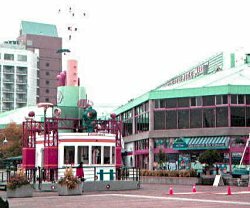 of the U.S. border, the ferry terminal to Vancouver Island, passenger rail stations and the Vancouver International Airport, New Westminster is very easy to get to. There is also local and long distance bus service available. 246 acres of parks including Moody Park (named for Colonel Richard Clement Moody of the Royal Engineers who founded New Westminster in 1859), Poplar Island nature reserve, sightseeing, historical tours, river tours, shopping, lacrosse games, softball diamonds and games, walking tours, spraypool water park, Canada Games pool, skating/curling rinks, children's petting farm. Centre, Burr Theatre, Library, Westminster Quay Public Market, Irving House Museum and Archives (built in 1865), Friendship Gardens (city hall), Art Gallery in Queens Park, Rose Garden, Samson V Maritime Museum, Museum of the Royal Westminster Regiment, and the Canadian Lacrosse Museum. 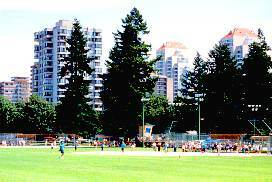 The City of New Westminster offers a variety of fine period architecture, five world-class museums, three live performance theatres (Douglas College with 350 seats, The Massey Theatre with 1252 seats on Eighth Ave and the smaller Vagabond Playhouse in Queens Park), numerous festivals and celebrations, as well as a host of shopping opportunities including Westminster Quay Public Market. December - Santa Claus Parade and Festival of Lights, Royal Christmas Festival, Victorian Christmas at Irving House.